These vegan rolls will blow you away. 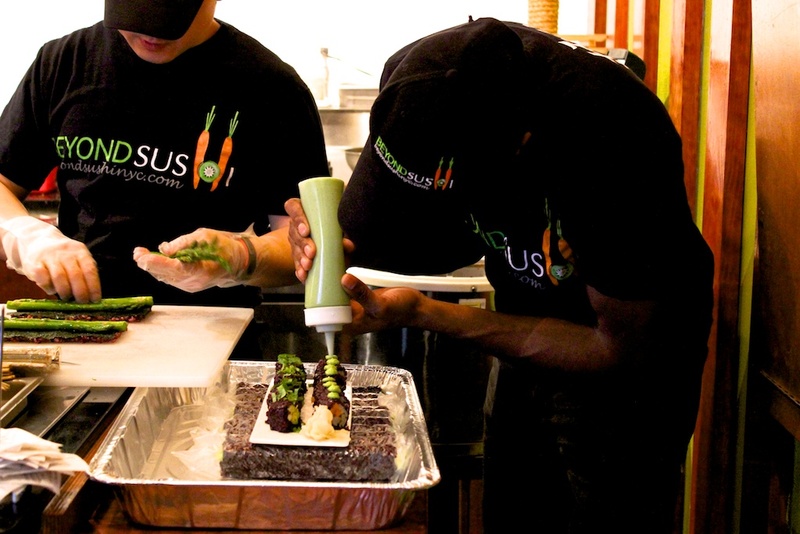 Beyond Sushi, located on 14th street between 2nd and 3rd, is easy to miss. Even as a regular, I sometimes walk by it. But despite its tiny green interiors–the zen dining room seats no more than 12–this all-vegan eatery is worth a second look. For fresh innovative eats, the elbow room is a small price to pay. While the idea of vegan sushi may sound paradoxical, I bring even my most carnivorous friends here, soliciting their blind trust to follow me into the delicious world of Beyond’s re-invented sushi. Then comes the sushi. Surprising combinations of healthy but hearty ingredients like sweet potatoes, avocado, mushrooms, tofu and crisp green vegetables are thoughtfully paired together, wrapped in seaweed and a layer of rice, and finished with a special sauce. This sushi is art, almost impossible to eat without admiring first and snapping a picture What’s even better are the flavors each bite delivers beating all California rolls by a landslide. Take the La Fiesta roll. Filled with avocado, pickled jalapeño and chayote, this beauty is topped with a mango chili sauce, bringing a burst of sweet and spicy to the earthy roll. Another star at Beyond, both aesthetically and to taste buds, is the rice. 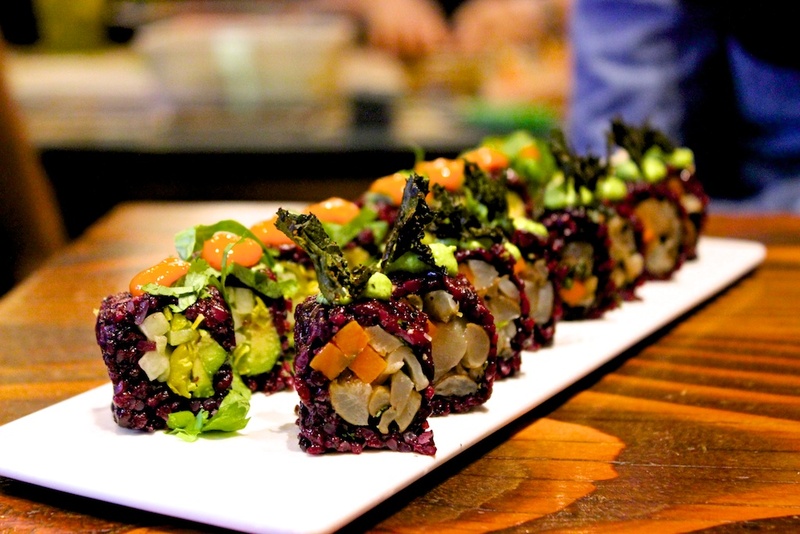 They use a 6-Grain blend or black rice in all their rolls giving each role a rich purple hue. Both of these rices, packed with flavor and texture, put white rice to shame. Finally, the seaweed used–which, in my opinion, makes or breaks a sushi experience–is reflective of every ingredient they use: peak freshness. 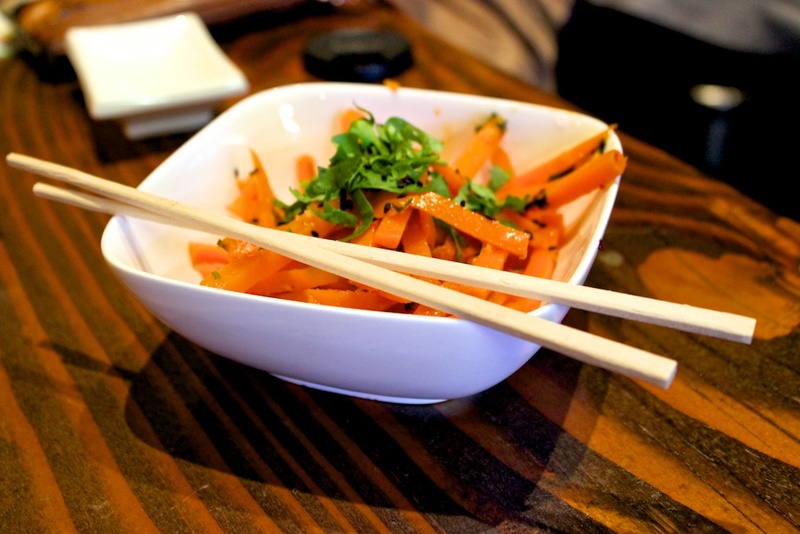 Check out my entire sushi adventure with the original post published on Like It’s Your Last. Hours of Operation: Sun-Wed 11:30am to 10 pm, Thu-Sat 11:30am to 11 p.m.